Regardless of the products being stored, a primary concern of any warehouse staff is to ensure an accurate inventory count is maintained at all times. Proper and accurate inventory reporting is crucial to purchasing, sales and accounting. Without accurate numbers, none of these departments can perform their duties accurately and the result can be delayed shipments, missed sales and a loss of revenue. A good inventory control system is vital to any warehouse operation. In the past it was customary to conduct an annual inventory to reconcile the physical inventory with the book inventory. Normally the warehouse would be shut down for a number of days so workers could conduct the inventory and reconciliation of products. Most current warehouse operations have done away with the annual inventory in favor of a cycle count system. A cycle count system is set up to count a certain percentage of the inventory each month, normally on a daily basis. A reasonable cycle count program can count up to 20 percent of inventory monthly without disrupting operations. At this level you will conduct a complete inventory of the warehouse nearly two and a half times every 12 months. Not only does this eliminate the need to shut down operations, but cycle counts will identify inventory problems in a much more timely fashion. The cycle count can be further broken down by inventory type. This is known as an ABC inventory system. Depending on your preference, these counts are set up by rating the volume of sales or by the unit cost of the inventory. In a unit cost system, the inventory with the highest inventory value would be classified as an A item. Items with a lower cost would be a B item, and the items with the lowest unit cost would be in the C category. In an ABC system, the A items are counted more frequently than B items, which are counted more frequently than C items. Many warehouses use the ABC system based on sales volume in order to better track the top-selling items--the area of inventory where the most errors tend to occur. Product damage is a fact of life in any warehouse. Products can be damaged during transport or during the pick-and-pack operation, during which full cases are broken down and repacked for shipment in smaller quantities. Concealed damage can be discovered months after the item was received. In each of these instances, the product must be properly deducted from the inventory. An accurate inventory of available products is crucial to both sales and purchasing departments. All inventory adjustments relating to damages must be carefully monitored and recorded. There should also be an effort to identify the person responsible for the damage--not order to assign blame but to monitor the inventory process. This data can be used to develop specialized training if trends are discovered. If a single associate continues to damage inventory, that person can be singled out for retraining or specialized training to help correct the problem. Raley, Tom. "Warehouse Inventory Control Procedures." 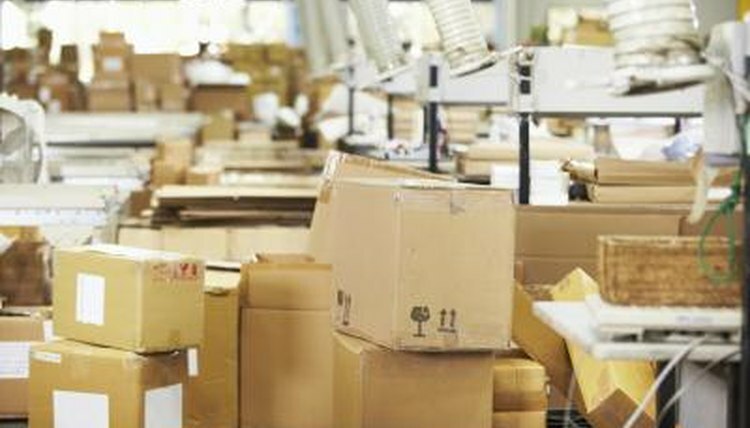 , https://careertrend.com/way-5763050-warehouse-inventory-control-procedures.html. 05 July 2017. What Is a Warehouse Inventory Management System?